The actions you take in the final decade before you quit working are crucial to getting the next phase off to a smooth start. 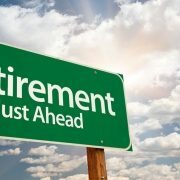 We provide retirement planning counsel to many clients. Considering retirement is exciting, but it can also cause anxiety and fear. That’s why we encourage our clients to begin planning for retirement with a comprehensive financial plan. Seeing your personalized financial plan takes away much of the anxiety before your retirement date arrives.